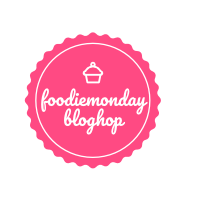 Monday is here and as you all know, again I have come up with a post dedicated to the Foodie Monday Blog Hop group. 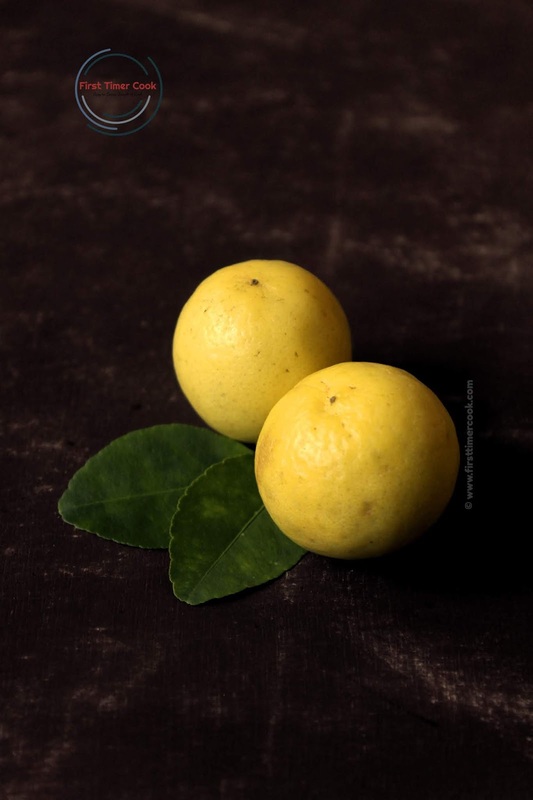 The 162th theme is decided as 'Lemon Affair'. Lemon, a citrus fruit which is always available in our pantry is one of the healthiest fruits having essential vitamins and minerals. A good amount of lemons and lemon juice in our everyday diet is always a win-win situation. Also in many type of dishes, lemons are used to brighten up the flavors. Since the theme is Lemon Affair, so I have decided to make the classic french dessert with lemon as 'Lemon Creme Brulee'. 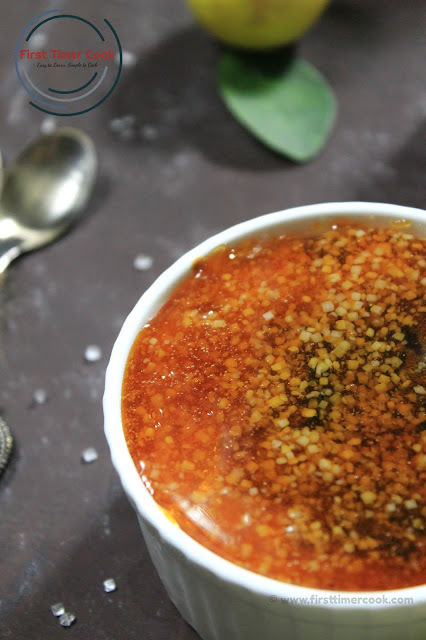 Creme Brulee is an exotic dessert of rich custard topped with caramelized sugar (a hard caramel). Here, the French term 'Creme Brulee' means Burnt Cream. But neither the cream nor the sugar is burnt, rather both are cooked. Basically a simple custard is prepared using the mixture of cream and eggs. The custard is then allowed to cool and after that a small amount of sugar granule is sprinkled on top of the cooled custard. Using a kitchen blow torch / broiling method, the sugar is caramelized. Thus a hard caramel top is there having a soft custard beneath. Creme brulee is usually prepared in individual ramekins and served as it is. Traditional creme brulee does not use any additional flavorings. But these days, people are flavoring the dish with vanilla, chocolate, coffee, many other fruit etc. 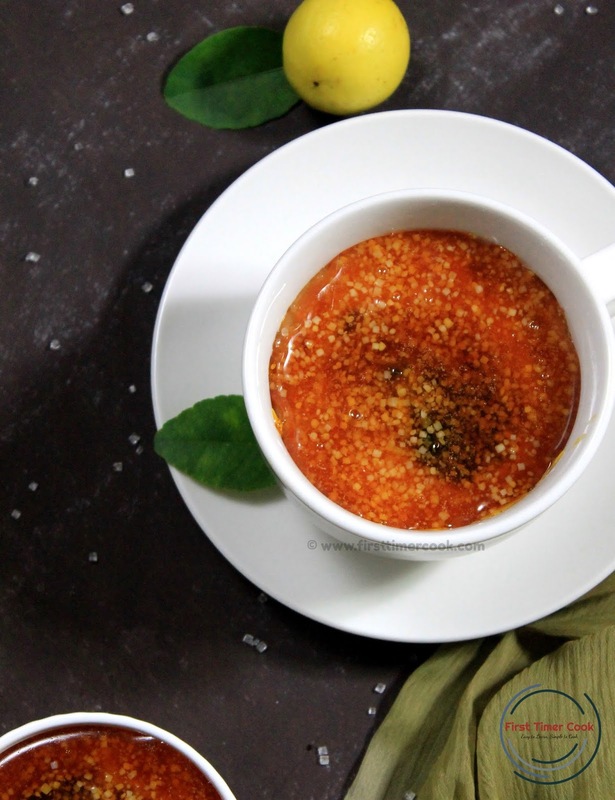 Here the creme brulee which I have prepared is infused with rich lemon flavor. Also the dish is completely egg free, means the custard used here has no egg. The process is so easy and loaded with lemon flavor due to addition of lemon zest and lemon extract. 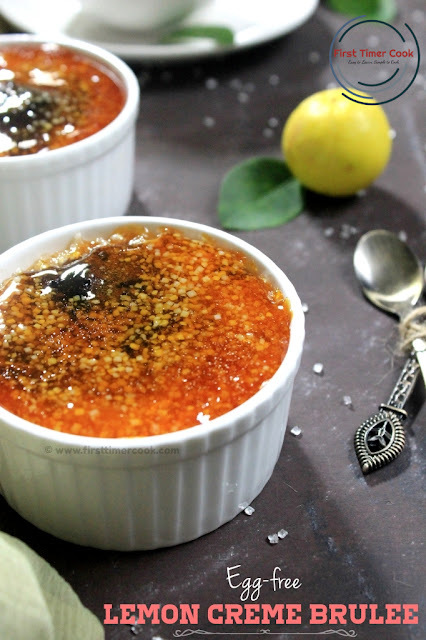 This lemon creme brulee is a super refreshing, tangy twist to the classic french dessert. In a pan take cream, condense milk, lemon essence and mix well. Turn on heat to medium and bring to a boil while stirring. Meanwhile, in a bowl mix corn flour and milk well so that no lumps are there. Then pour the milk mixture into the pan keeping the heat on low. Add in lemon zest and keep stirring until the whole mixture starts to thicken. Turn off heat and pour into ramekin molds. In a baking tray (having height same or more than ramekin molds) place the ramekin molds and then fill the tray with hot water up to 1/2 of the ramekin mold height. Bake in the preheated oven for 25 minutes or till the top looks slight brownish color. Then take out from oven and allow the custard to cool down a bit. Next put the ramekin molds in refrigerator for 2-3 hours / overnight to cool and set completely. Then take out from oven and sprinkle coarse sugar ( 1 tsp per ramekin) evenly over the custard. (I) using a blowtorch : First ignite the torch. Focus the flame directly on top surface of the custard keeping the nozzle 2-3 inches away from the top surface. The sugar'll start to melt slowly at first and finally caramelize having a glossy brown color on top of the custard. (II) using broiling method : Place the ramekins on top rack and start broiling till the sugar caramelizes. Keep aside all the ramekins either at room temperature or in the refrigerator (for 4-5 minutes) to set the caremalization hard. 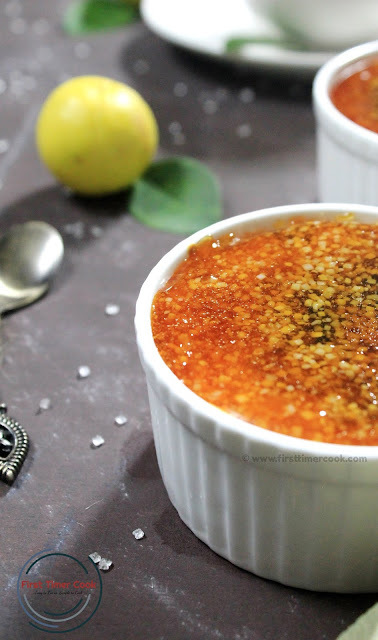 After that, serve and enjoy this egg less lemon creme brulee !! I usually prefer the 3rd method of caramelization. Instead of sprinkling 1 tsp of sugar, I have sprinkled a little more. Hence the upper layer sugar starts caramelizing soon and the underneath are still there which is completely visible in pictures. So don't sprinkle more sugar on top, 1 tsp is enough for each ramekin. If lemon essence is not available, then just proceed with vanilla essence. Wow, the lemon creme brulee looks so beautiful and delicious! The dessert looks so inviting Sasmita! Thanks for sharing an eggless version and for the details on how to get the top caramelised layer. Sasmita I am drooling. This looks super tempting and gorgeous. Thanks for the detailed recipe. I'd once tried making an eggless version of the creme brûlée and it did not turn out good. Yours looks really awesome and with lemon zest it must have tasted so good. Will try this recipe out. Its my hubby's all time favorite dessert. Very useful tips on how to caramelize the sugar without a blow torch. This dessert looks spectacular.Loved this eggless version.Fab share Sasmita. Love the flavour of lemons 🍋 in deserts thi should one looks so tempting want to dig in with a spoon just now. Looks very inviting and tempting. I so want to crack that caramelised sugar layer with a spoon and dig into the custard. :-) The lemony touch to the classic recipe sure sound refreshing! Looks delicious dear!! Love that it is eggless and I love creme brulee. Must try this soon! Perfect dessert for any parties or just after having spicy meal, refreshing, yummy and inviting! this egg less creme brulee looking very tempting, though I have not yet tried it. I thought the specific torch should be there. But you are making me feel like to try it. Great share. Wow. This lemon creme brulee looks so gorgeous. You made it so perfect. I have not tried this caramelisation part yet. May be I should give a try. Perfect dessert to fill the stomach after a perfect meal. Yum yum!!! Creme brulee looks absolutely delicious and inviting. Classic brulee tastes good, I am sure adding lemon would have given an extra flavour. Lovely share. This looks simply irresistible, the lemon flavour must have made it more good. Lovely share. Keeping this one on bookmark!! Lovely crust on top!! Classic post,classic photography and beautiful share Sasmita!